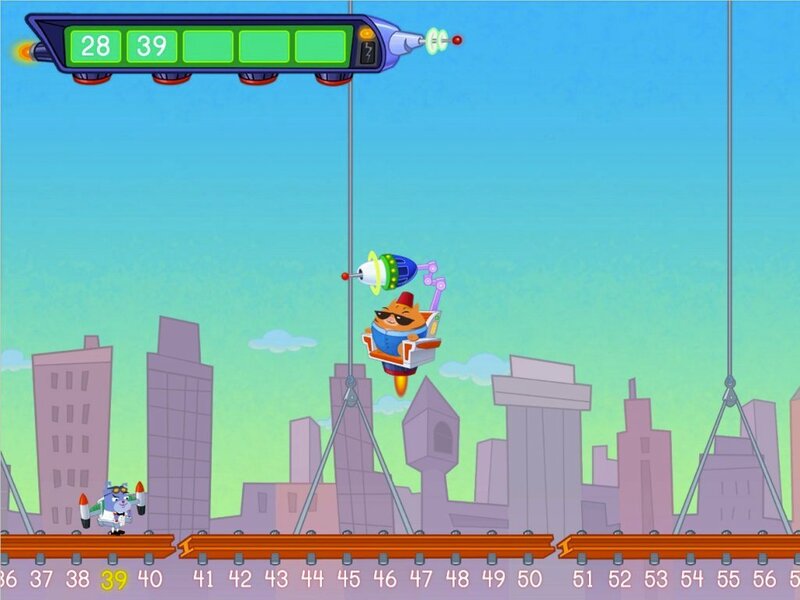 How many ways can your child create sum up to 100? 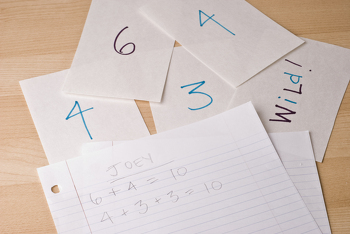 This fun card game is a great way for your child to learn addition patterns while he assembles a game-winning strategy. 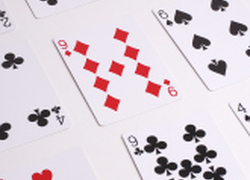 Ask one of the players to remove all of the face cards and 10s from the deck. Shuffle the deck and place it face down in the centre of the table. 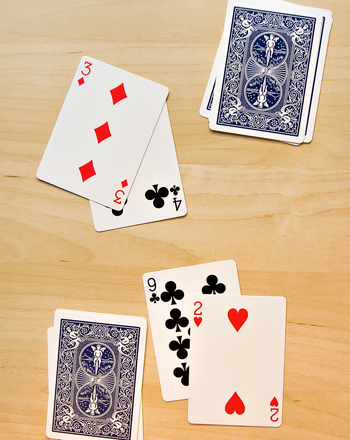 Each player should select 4 cards from the deck and place them face up. 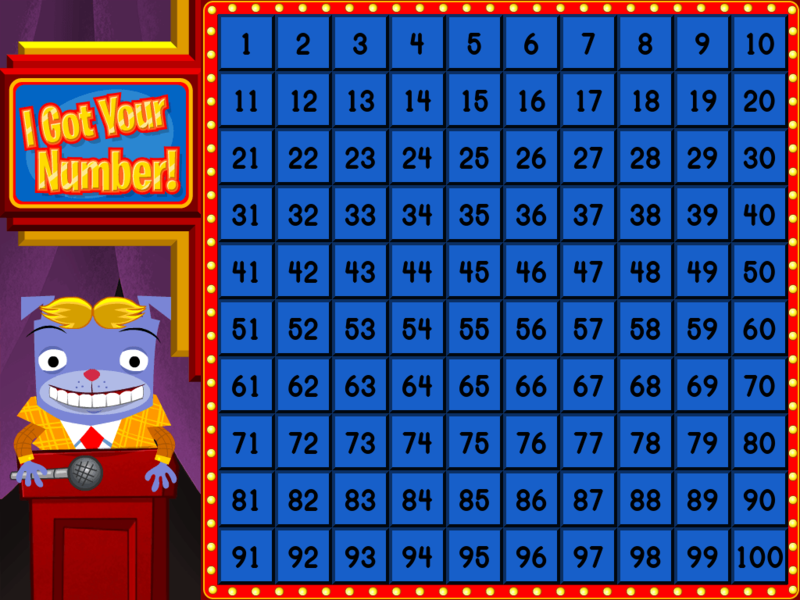 Ask them to rearrange their cards and try to create number pairs that when added together come close to 100. 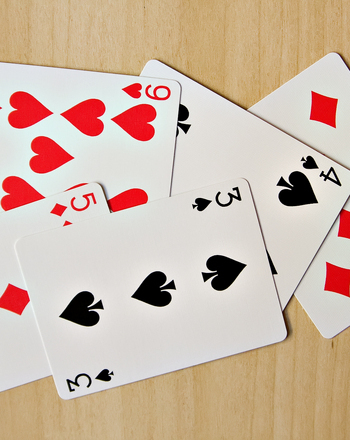 For example, the cards 5, 1, 4, 9, can be arranged to create two larger numbers: 51 and 49. When added together 51 and 49 equal 100. When everyone's ready, they should share their final numbers. Whoever is closest to 100 receives a point. Play for 10 rounds. The player with the most points at the end of the final round wins. 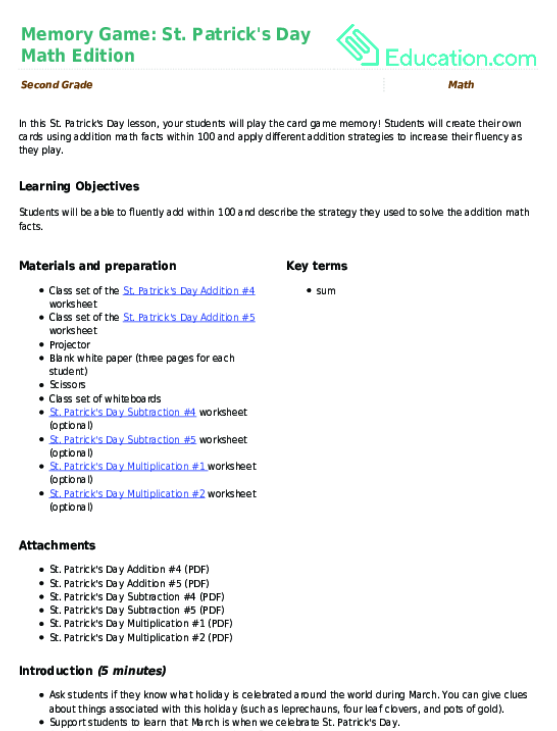 Patrick's Day lesson, your students will play the card game memory! 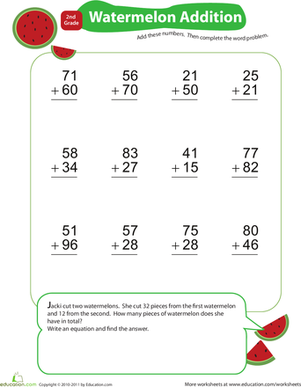 Double-digit addition can come close to being as pleasant as a warm, summer day with this adorable year three worksheet! 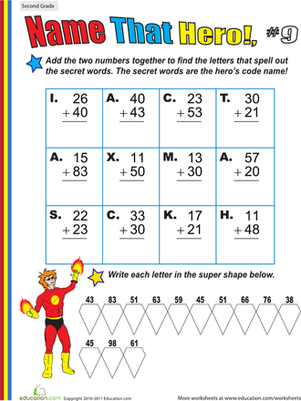 Give your second grader a helping hand with two-digit addition with an addition worksheet with a fun, super hero theme. Use critical thinking skills and a bit of addition to find the correct numbers and fill in this year three worksheet.